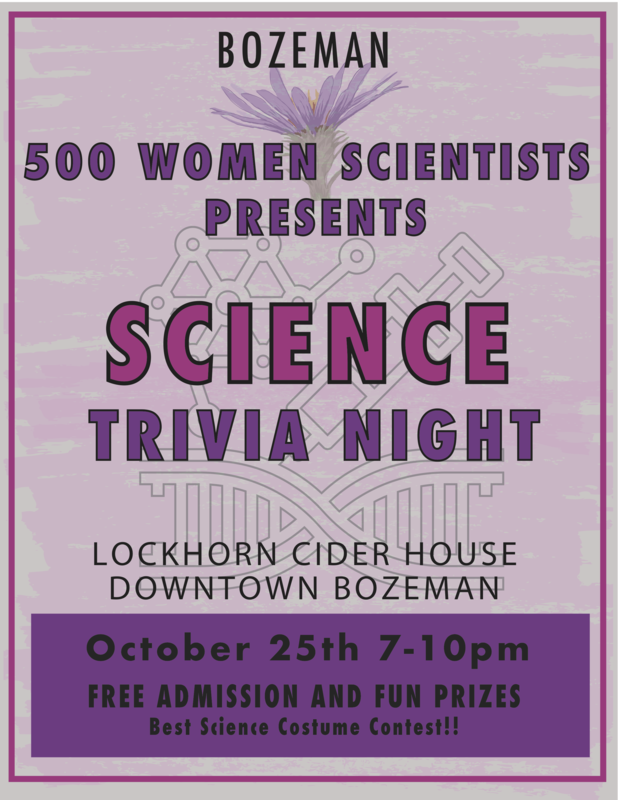 Bozeman 500 Women Scientists asks you to join us for a fun night of science trivia. Free admission and fun prizes. 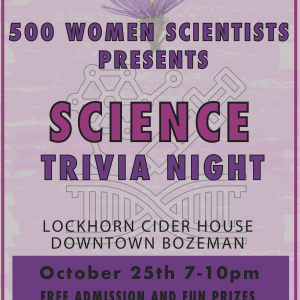 The best science themed costume will win a prize as well!